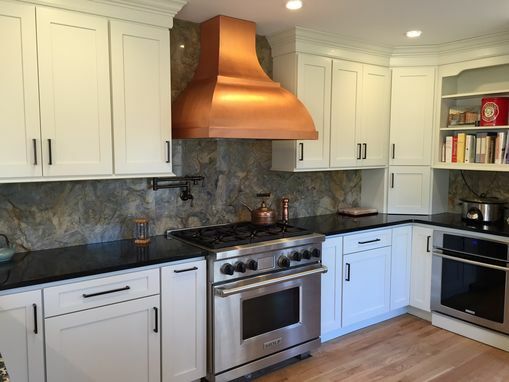 Featuring an artistic blend of round and square edges, this range hood proves to challenge for even our most talented coppersmiths. 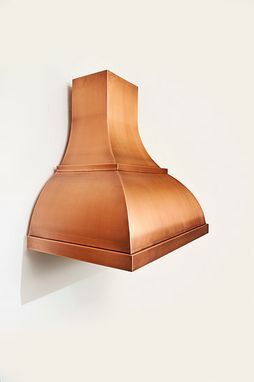 Like you, this range hood is not afraid to be different. A light is patina is applied, brushed and sealed for a maintenance free finish. 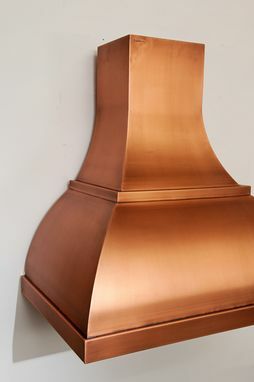 This hood is 36" wide, and is available in 30", 42" or 54" heights. You can also select between a 390 or 660 CFM internal fan.